I was curious about eBooks last week [thats because im yet to install another game on my avyukta]. So, i ran a search that varied from Osho to Sujatha, and ended with Kalki. 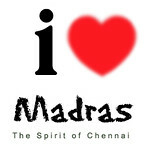 Project Madurai is the site, and they got an Amazing collection of tamil ebooks in a PDF Format. I downloaded Ponniyin Selvan from there. What a book it is. Im just running on the 47th chapter [47 Adhthiyayam] and am i interested. Actually im falling for the Organaization of the story. May be im not right on the following statement, let me give it a try. I did not feel the extreme way of expressing, in Kalki's writing - but thats what people are praising him for. I did not find the intellectual expressions just as i find in Sujatha. May be he was good for his times, or may be i dont have the maturity to appreciate it. But one great thing, which i assume all writers would have Studied from Kalki, would be the Story Organaization. The way, a Huge huge story is edited, and the way scenes are linked makes me think Mr. Kalki is a master of screenplays. Names are the best you will like in Ponniyin Selvan. Few good names to pen, "Poonguzhali", "Pazhuvattaraiyar", "Vanthiya Thevan", "Sundara Chozhan", "Vandaar Kuzhali". Tamil is a super current flowing in his writing. "Yavvanam", "Maya Manogaram", "Kali Veri" , "Sannatham","paravasa pravagham"